’Tis the season – for travel and holiday cheer! The winter season is an under-appreciated time for local travel and exploration. Many Pennsylvania and even West Virginia towns offer plenty to do during the chillier months of the year. Museums, for example, are a great go-to as you travel and unplug for your normal routine. This blog is for the museum lovers out there – and will help you find some off-the-beaten-path exhibits this season! The borough of Donora is located in Washington County, alongside the Monongahela River. 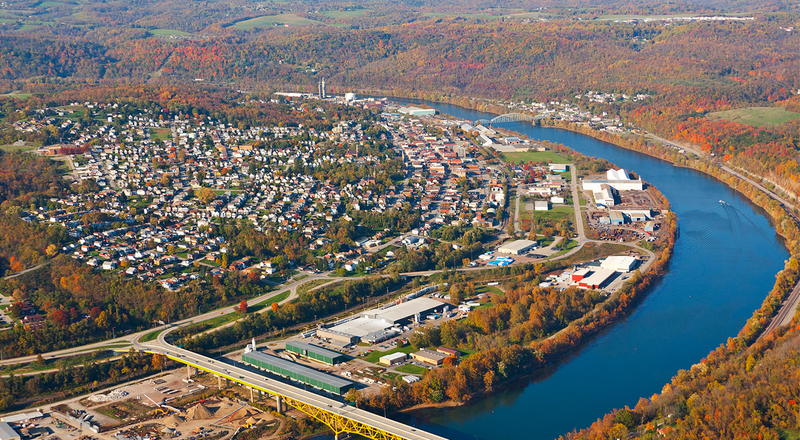 The town has an industrious history, with stories of steel-making, coal-mining, agriculture, and more. In addition to a long history of creation and production, Donora houses the Donora Historical Society and Smog Museum. A member of the Heinz History Center’s History Center Affiliate Program, the museum is dedicated to preserving and remembering 1948 Donora smog – an event that tragically killed 20 people and left 7,000 ill. This single event in Donora’s history helps to shine a spotlight on environmental dangers, residential welfare, and more – and is well worth a visit. Interested in visiting? Contact the museum to confirm their operating hours! 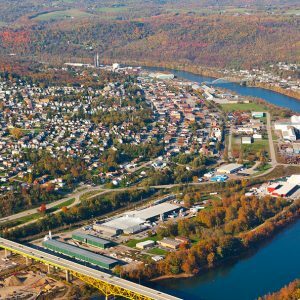 Brownsville was once a frequent destination point for travelers who were heading west via the Monongahela and Ohio Rivers. Today the town is a lovely place to escape busy city life – it has two historic districts, and the area by design celebrates its rich history and local scenic beauty. Museum-wise, Brownsville houses the Frank L. Melega Art Museum and Monongahela River, Rail, and Transportation Museum. The art museum collects, preserves, interprets, and exhibits the artworks of Frank Melega – an Indiana-born son of a coal miner with an artistic talent that earned him recognition from prestigious organizations across the country. And if art isn’t quite your thing, the transportation museum displays an impressive collection of artifacts and archival materials related to the history of river and rail transportation in this region. Between the two, you’ll be sure to get your fill of historic things this season. (Be sure to call before visiting this museum, as its hours are limited!) Interested in visiting? Be sure to contact both museums to confirm if they are operating on seasonal hours. While West Virginia is commonly recognized for its outdoor activity options, Fairmont has plenty to offer in the way of museums and history. The Marion County Historical Society & Museum combines both of these things, featuring a diverse collection of historic things from across the centuries. The museum’s focuses include the Revolutionary and Civil War, coal mining, the glass industry, railroad lines, and more. This charming museum will help you settle into the state, understanding a little more about the factors that shaped it. Interested? Here are their hours of operation! As a bonus, if your schedule matches theirs – their hours are very limited – the Telephone Museum will be your next stop. With switchboards, pay phones, test boards, and more, this little museum is a fabulous tribute to the history of the telephone. Morgantown may house West Virginia University, but it’s not just a college town by any means. Morgantown has consistently been rated as one of the top small cities in America to live or start a small business. Historically, the area was highly contested due to its location and resources. Today visitors can get a glimpse of the area’s glass and coal heritage at the Morgantown Museum. This city-sponsored museum and nonprofit aims to promote local and regional history and to make it accessible to the citizens of Morgantown and visitors to the region. These are just some of the delightful museums hidden throughout our river towns. If any of them grabbed your interest, we definitely recommend planning a little holiday trip – you won’t regret the chance to shop and learn as you head out of town for a seasonal trip! Ready to plan a trip? In addition to Googling local activities, you can visit our website calendar to see upcoming activities in many local Mon River Towns. *Always check the most recently posted museum hours before planning a visit, as some museums may adjust their hours for the holidays or for the winter after the publishing of this blog.